Even if we have already witnessed the testing of the official replacement of the 650S, the upcoming 720S, numerous times in spy photos, we have not seen yet the actual look of the supercar. However, thanks to a recent leaked image posted by Bloomberg, the model was revealed with dihedral doors and exquisite design, just ahead the 2017 Geneva Motor Show. The leaked image was then removed from the website. As we can depict from the leaked image, the all-new McLaren 720S is going to feature an extremely bold design, with sharp lines and aggressive features. The most important characteristics of the supercar`s body style represent its huge glass roof and glass which are incorporated into the upper section of the dihedral doors. Also, the engine compartment is also integrated into the roof section, allowing the air to be channeled through an active spoiler and rear valance. Also, the entire rear end also reminds us of the F1 supercar released back in the 90s, thanks to the shape design lines. Other important highlights at the exterior are the thinner and more aggressive rear LEDs and brake calipers with ceramic discs, which will definitely be of help whenever heavy breaking would be needed in tight corners. 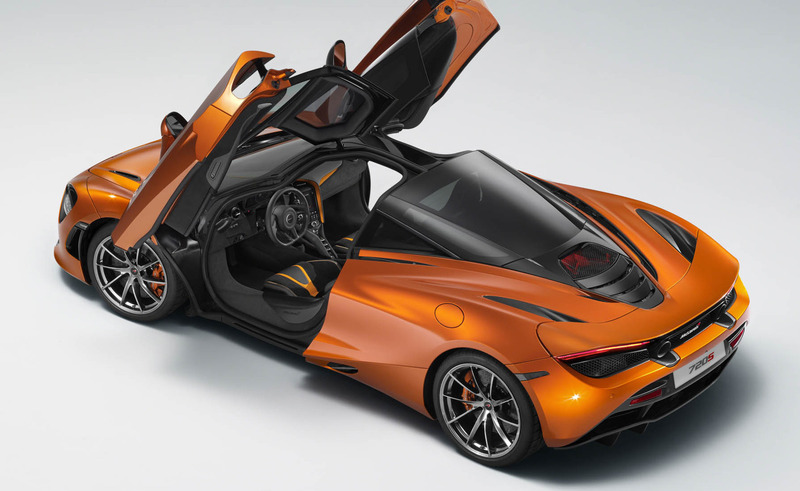 As for the supercar`s engine under the hood, the McLaren 720S will use a new 4.0-liter twin-turbo V8 engine, with 536 kW. Full details are expected to arrive at the 2017 Geneva Motor Show, which opens its gates on the 7th of March. Stay tuned and don’t forget to tell us what you think about the supercar`s exquisite design!